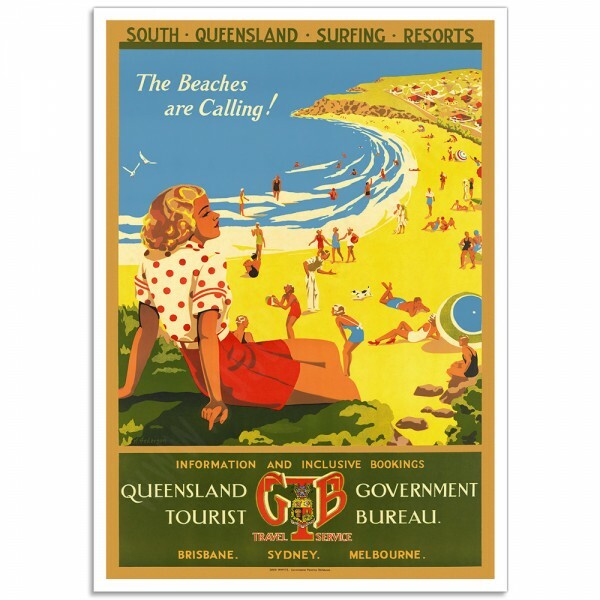 South Queensland Surfing Resorts - Vintage Australian Tourism Poster.
" 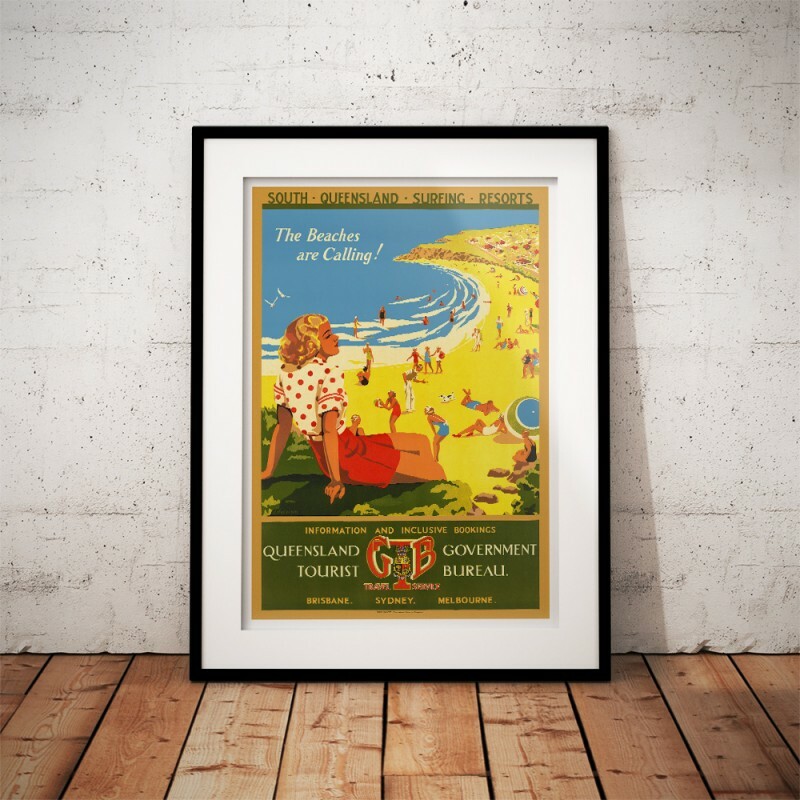 The beaches are calling!" 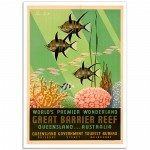 The original advertising poster promoted the Gold Coast, Surfers Paradise, beaches in Queensland Australia. 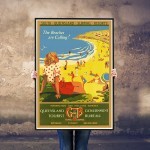 A typical 1930's beach scene; a young woman sitting on a grass ridge, looking across a the beach scene. 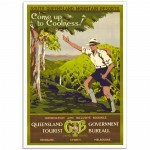 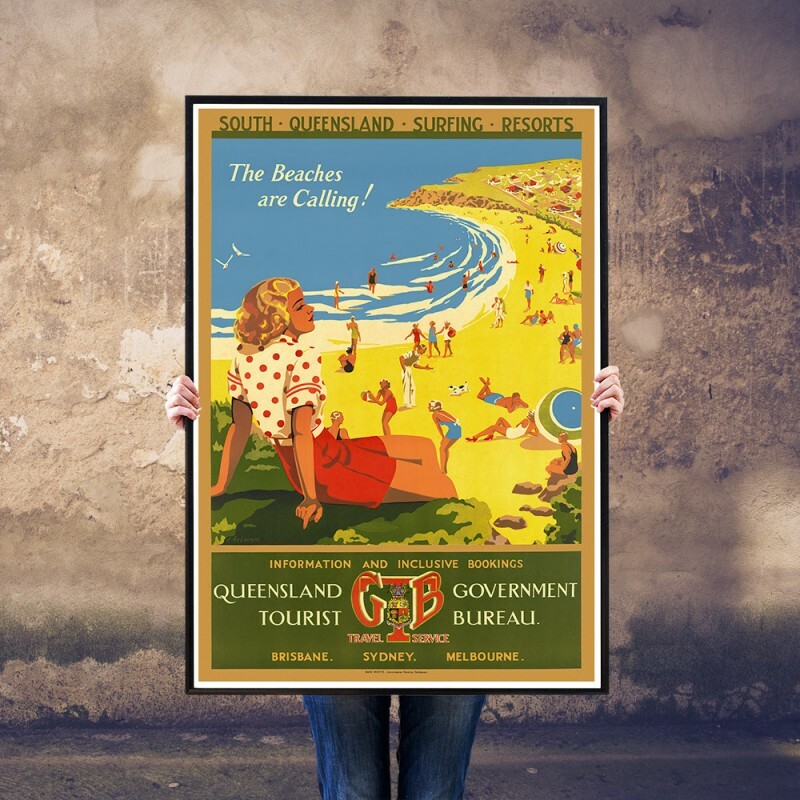 Created by M. Anderson in the 1930's for the Queensland Government Tourist Bureau and Printed by "David Whyte Government Printer, Brisbane". 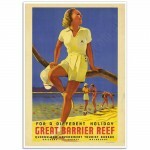 Over 70 kilometres (43 miles) of magnificent coastline with some of the best surf breaks in the world. 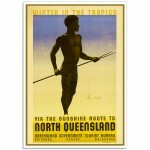 The Northern beaches; Main Beach and Surfers Paradise are forever popular with travellers from all over the world. 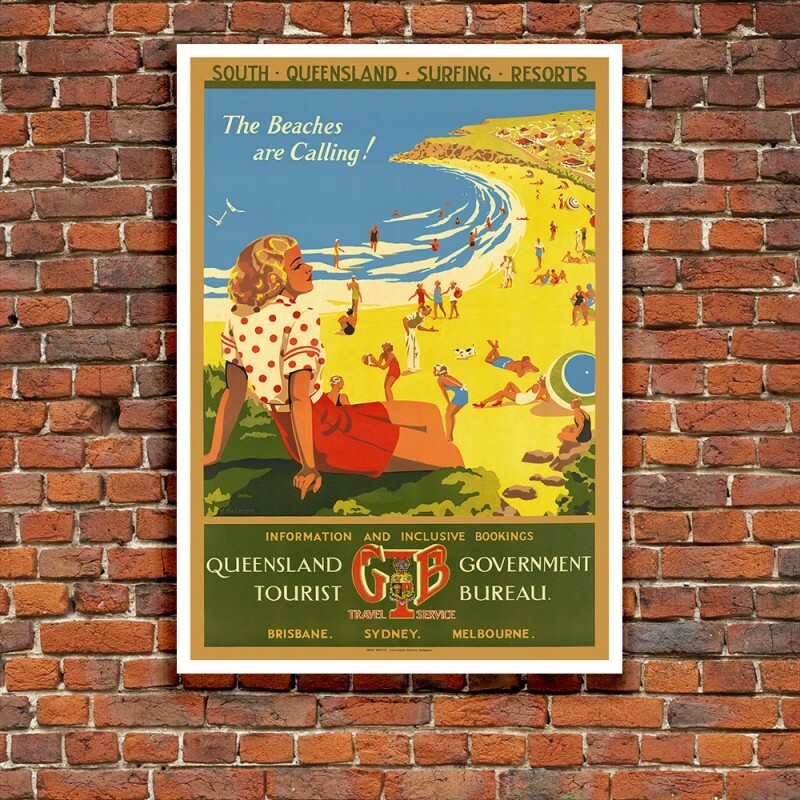 Locals hangout at Broadbeach, Mermaid Beach, Nobby Beach, Miami, Burleigh Beach, Burleigh Heads, Tallebudgera Beach, Palm Beach, Currumbin Beach, Tugun, Bilinga, Kirra, Coolangatta, Greenmount, Rainbow Bay, Snapper Rocks, Froggies Beach and Duranbah Beach, one of the world's best. 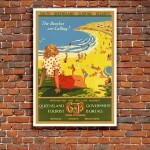 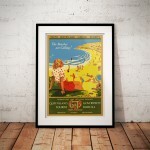 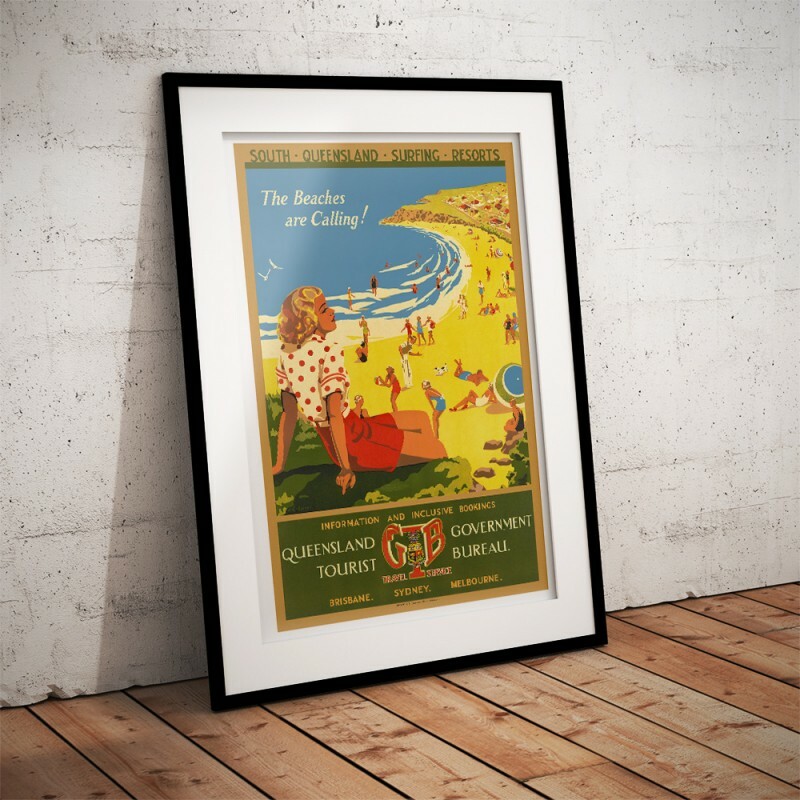 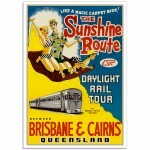 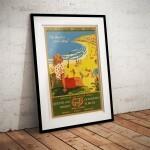 The 'South Queensland Surfing Resorts' Poster has been created from an original poster. 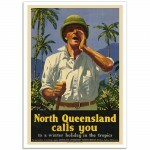 North Queensland Calls You - Vintage Australian Tourism Poster.To a Winter Holiday in the TropicsThe..
For a Different Holiday - Vintage Australian Tourism Poster.Great Barrier ReefThe artwork for the Or..